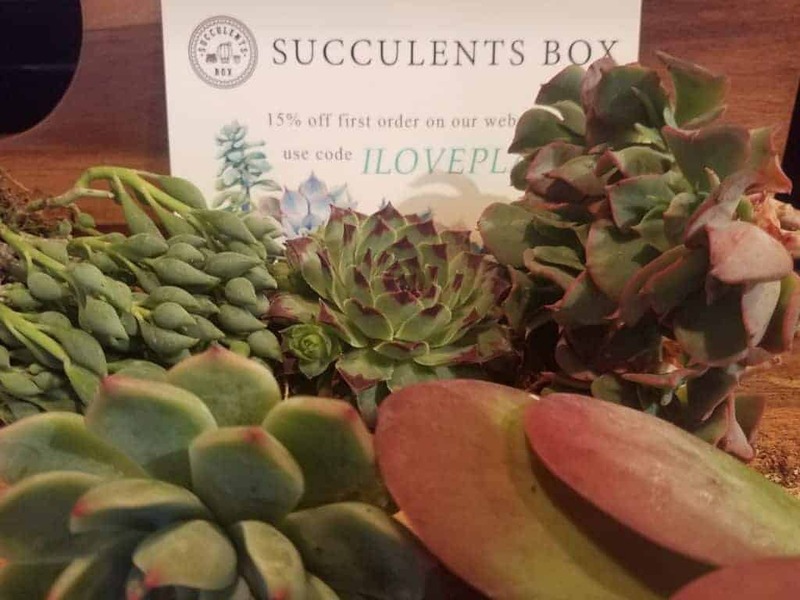 Succulents Box is, unsurprisingly, a subscription box that revolves around fat plants and accessories. What the company lacks in naming creativity it makes up for in creative succ and cactus combos, fun accessories, and great service. I received the Succulents Box for free in return for an honest, objective review. I actually really think this is a fantastic product, so check it out! Everyone knows it – plant mail is best mail. That’s why I was excited to receive a box with this elegant, minimalist sticker on it. For those of you that aren’t aware – this package represents one of the greatest trends of the past few years: subscription boxes. I particularly love sub boxes because they are always a surprise. I have loads of plants already. Frankly, it’s hard for me to pick out new ones. 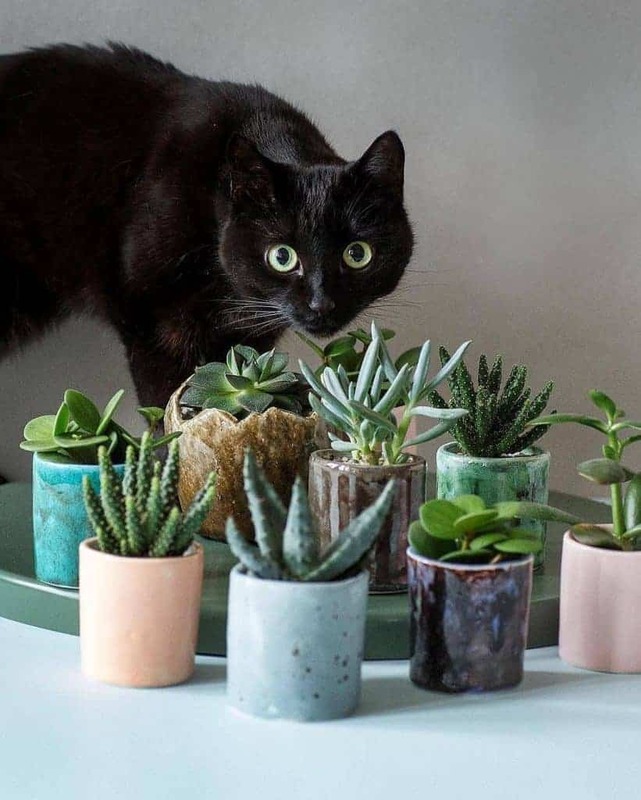 Succulent Box does all that for you; they choose new species every month and send them to your doorstep. Overall I was quite pleased with the product. Here is the breakdown. The first thing I noticed was the packaging. The box was totally plastered with FRAGILE stickers. I have my doubts about whether or not postal workers know what that word means, but this particular package made it through unscathed. That’s a small miracle. The inside was packed tightly with newspaper and scraps. Each plant was wrapped tightly in bubble wrap – there was no chance of damage during shipping. I have mixed feelings about the bubble wrap. On one hand, it certainly protected the plants from physical harm. It prevents breathing, though. It would trap moisture, too, if there was any. These plants were bone-dry. Either way, it worked. The plants were no worse the wear for it. The succies were delivered bare root, too. I definitely agree with that practice. It prevents unnecessary moisture from being trapped in with the plant. Bare root shipping greatly reduces the risk of root rot. As an added bonus, there’s little chance of any pests being transferred. Win-win! As for the plants… there was a pretty decent variety! Five plants, four genera. A couple Echeveria, a Sempervivum, Kalanchoe, and a plant I haven’t figured out yet! Senecio, maybe? Someone tell me if they can identify this one! It’s especially exciting for me to be presented with a mystery plant! There’s always more to learn about succulents and cacti! Given the huge amounts of diversity of succulents and cacti, I’ would have liked to see plants that are all radically different from each other. No plants from the same genus would be ideal. It’d be cool to avoid the same shape of plants too, i.e. we don’t really need two rosette succulents (Echeveria and Sempervivum). I’m satisfied though since they were all pretty big. The smallest was 2.5 inches across, and the largest was about 4 inches. Check out this wicked cool Echeveria bush thingy! The plants were all pretty healthy. There was no physical damage and no dead plant matter. About half of them had a very robust, healthy root ball. The others… well, Echeveria aren’t known for extensive roots anyway. The only real problem I had with the plants is that, by the time they got to me, they were starting to suffer from lack of water. Most of them lost a couple leaves due to it. However, I’m not upset. I think that you should ship plants thirsty. It ensures that they’re dry while they’re being moved, so they don’t get root rot. Also, since you should be watering right after you repot, the timing lines up well. I’m chalking up this one up to bad luck. None of the plants were seriously hurt, so no harm done. I really loved that all the succulents had all of their bright, vivid colors. They were clearly sun-stressed in a good way. That’s an indicator that the person who grew these plants knew what they were doing. Having their colors also helps you to identify the succulents! Finally, the part everyone wants to know about – the price. Succulents ain’t cheap. Subscription boxes aren’t usually cheap, either. The combination of the two can get pretty pricey. That’s why I was so surprised and impressed with the Succulent Box. Their subscription options range from $10 to $20. Shipping to Pennsylvania was only $5 and some change, so this isn’t one of those things where they do obscene charges for S&H. They also sell individual plants, pots, and accessories for a pretty reasonable price. Furthermore, a portion of their profits goes to a Vietnamese charity that provides meals to the impoverished! I can get behind that! Overall, a great deal. Certainly one of the best options for succulent subscription boxes on the market today. I can heartily recommend Succulent Box for satisfying your plant cravings in a predictable, timely manner! I think you’re mostly right – sub boxes usually have common plants. This one had a few uncommon ones that I appreciated! 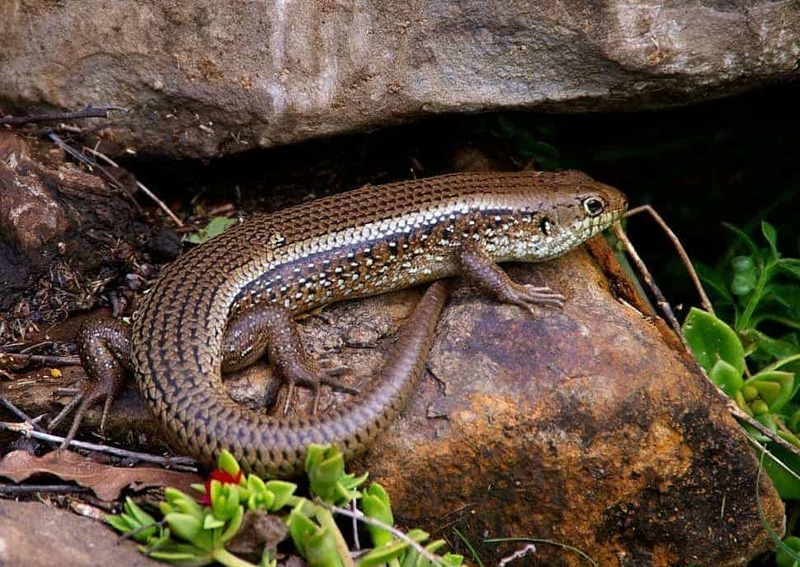 I’m actually working on an article about rare plants right now… stay posted, Sheryl! Your unknown plant looks like a senecio citriformis. I think you’re right! Thanks a bunch for that ID, it was eating away at me haha. Thanks for your review. Have you ordered other subscription services? Searching the net for a comparison. Some of the other online nurseries (Leaf & Clay and Mountain Crest Gardens) have subscription services too. I haven’t ordered that service before, but other plants I have gotten from them have been excellent!